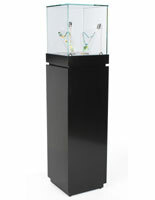 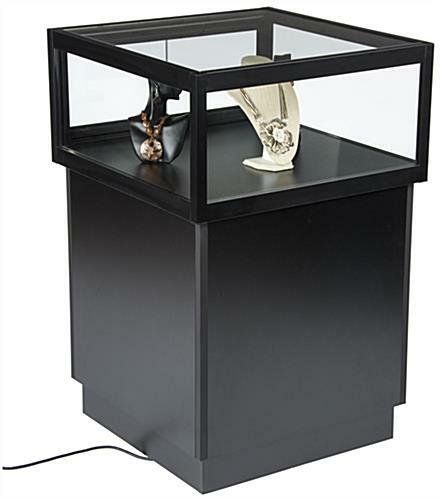 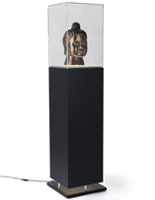 This pedestal display w/interior LEDs is ideal for showcasing retail merchandise, gallery or museum displays and collectibles. 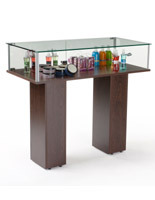 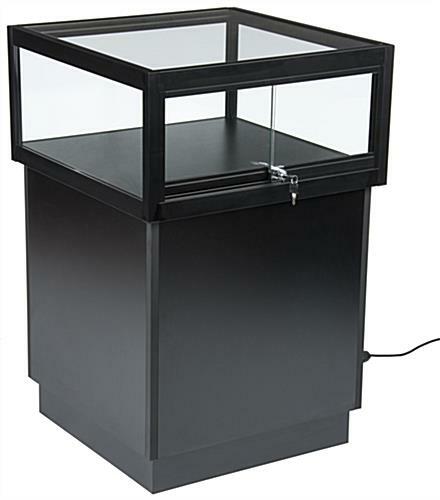 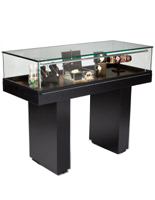 Each 37" tall black MDF cabinet has a 24" square tempered glass top that is 12" deep. The freestanding display w/interior LEDs offers bright illumination with a slender internal light strip that will perfectly accent contents. 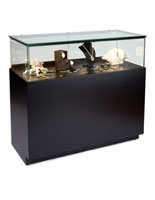 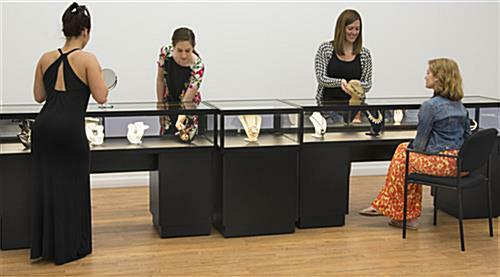 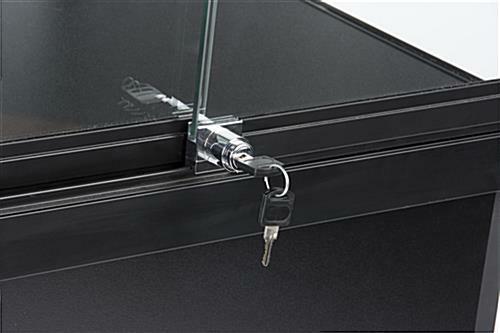 The gallery style museum display makes a great retail fixture due to the securely locking sliding access panel in the glass top. 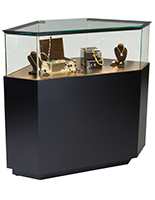 Each black finish display w/interior LEDs is made from sturdy MDF with a neutral color that will focus attention on the contents and not the cabinet base. 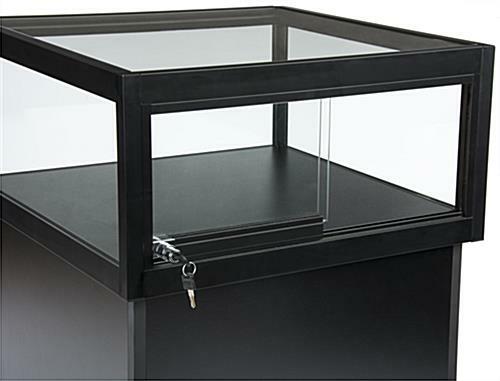 The tempered glass top is shatter and impact resistant for additional safety. 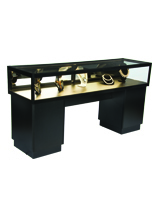 18.0" x 37.0" x 24.0"
22.5" x 25.0" x 22.5"
22.3" x 9.0" x 22.3"
24.0" x 12.0" x 24.0"